Perfectly situated just steps from the ocean, within Hillsboro Beach is this bright and open oceanfront condo. With 2 bedrooms and 2 bathrooms, this Ocean Grande beauty offers more than 2,231 square feet spread out overlooking an oceanfront view. The spacious layout makes it perfect for entertaining featuring a light infused living room and an open kitchen boasting rich wood cabinetry, granite counter tops, and gleaming stainless steel appliances. There is an elevator that opens directly up into the unit. There is a stunning built in bar that has a wine cooler. Additionally, this Hillsboro Beach beauty offers marble flooring, over sized sunken tub,separate shower, and a palatial ocean/pool front balcony. 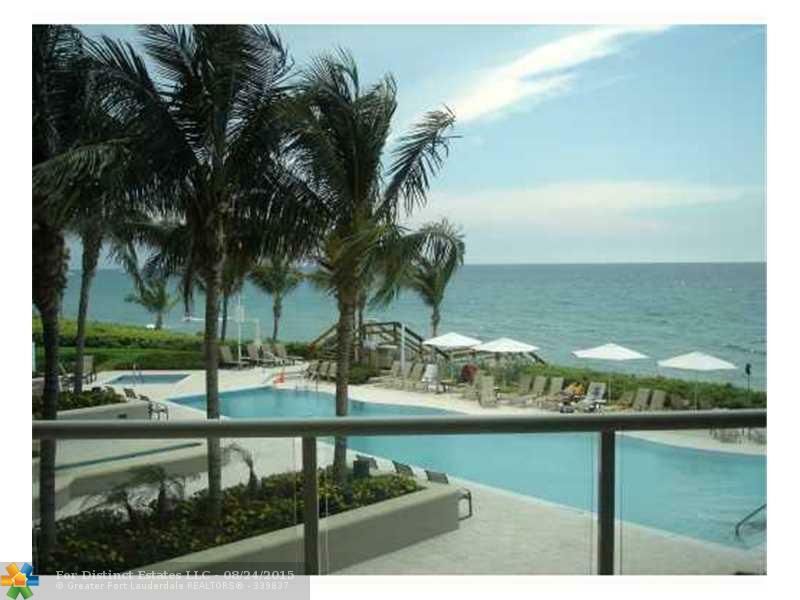 1063 Hillsboro Mile #203 is located in Hillsboro Beach and is currently asking $1,175,000. This Ocean Grande listing is courtesy of Beautiful Homes Realty Inc MLS# FX-1354972. Ocean Grande is a highly desirable community located just south of SE 10th Street in Hillsboro Beach, Florida.Residents of Ocean Grande enjoy billiards, boat docks, fitness room, sparkling heated swimming pool, sauna, marina, a spa whirl tub, and a community room. Residents of this Hillsboro Beach community enjoy an enviable location just within minutes of world class dining and shopping at the well renown Mizner Park and Towne Center of Boca Raton.